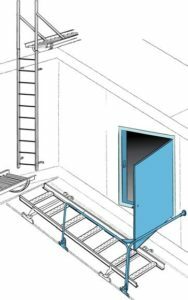 The roof bridges will be on the roof are regulated under the Work Environment Act (SFS 1977: 1160) for safe movement along the ridge. 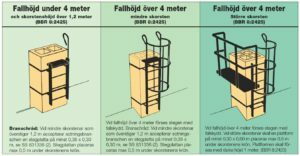 They are also approved for attachment of fall protection line. Roof bridges will from January 2015 supplemented with either rail or wire system, this then you have to be connected at all times. Work Environment Authority has carried a penalty of at least 40,000 SEK plus 731 per employee. With a maximum amount of 400 000 SEK if you violate this. 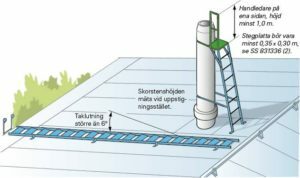 A roof bridge makes it safer to move around on the roof of its length, chimneys and other items that require maintenance. 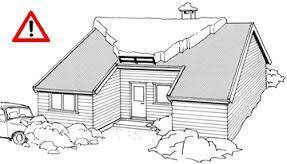 Roof bridges can install on all the different roof types (eg: tile roofs, felt roofs and metal roofs) with different slopes. Since January 2015 walkways shall be supplemented with either rail or wire system, to which you have to be connected at all times during work. 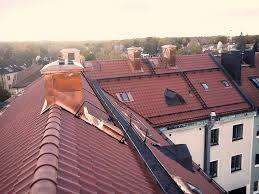 The roof ladders should be on the roof are regulated under the Work Environment Act (SFS 1977: 1160). 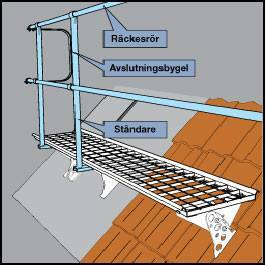 Roof ladders should be on the roof for moving from the ridge down to the eaves and to all service points on the roof so that fans chimneys. 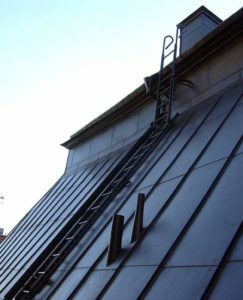 For roof ladders are mounts for all types of roof cladding. Roof ladders are available in all major RR colors. Whatever it is for the roof on the property it owns, it is absolutely inevitable to be more or less covered by snow during winter. Snow and ice that could fall and injure people or damage property in a public place shall be removed without undue delay from roofs, gutters and similar devices. To have snow railings on the roof are regulated under the Public Order Act. 1993: 1617th.